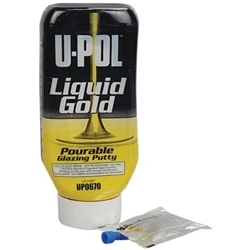 Pourable finishing filler that is Very smooth and easy to spread. Excellent adhesion to most substrates including galvanised steel. Can be sanded, painted and primed in 15-20 minutes. New bottle packaging enables super quick, easy and neat dispensing.